PAUL BELLINGER PHOTOGRAPHY: HAPPY FATHER'S DAY!!! Dad on the banks of the Missouri overlooking our hometown Omaha Nebraska! 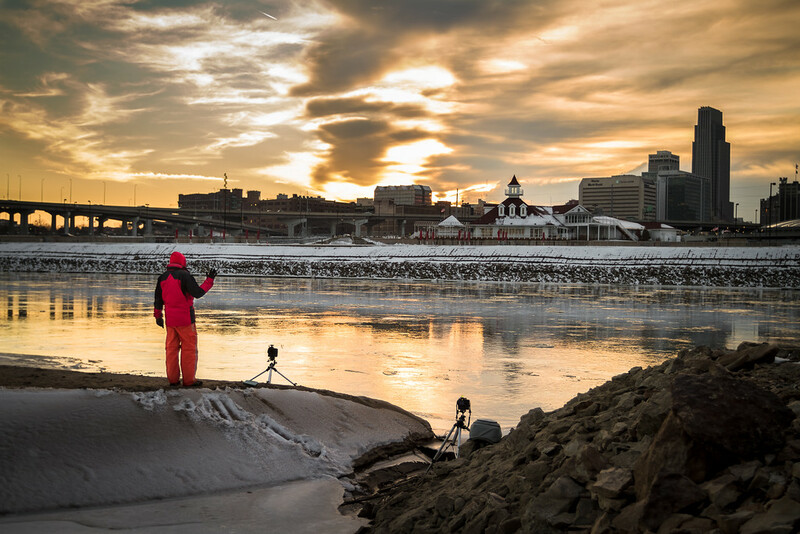 It was probably 0 degrees fahrenheit plus a cool breeze coming off the river. Hence dad's snow suit! Happy father's day dad! I can't wait to shoot some landscapes together again soon! 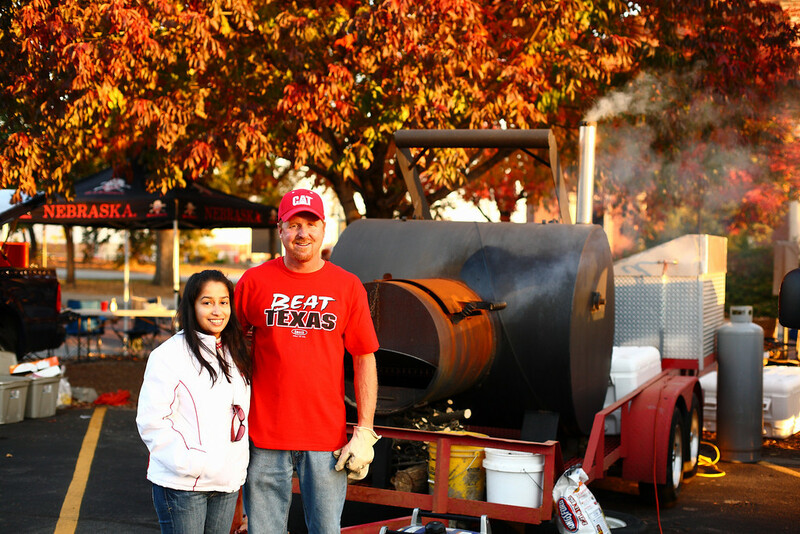 My stepdad Bruce posing with my beautiful wife Nini in front of Bruce's huge smoker at our Husker tailgate party! We had the smoker up and running before sunrise! I wish father's day was during Husker season, so we could celebrate appropriately. Happy father's day Brucey!